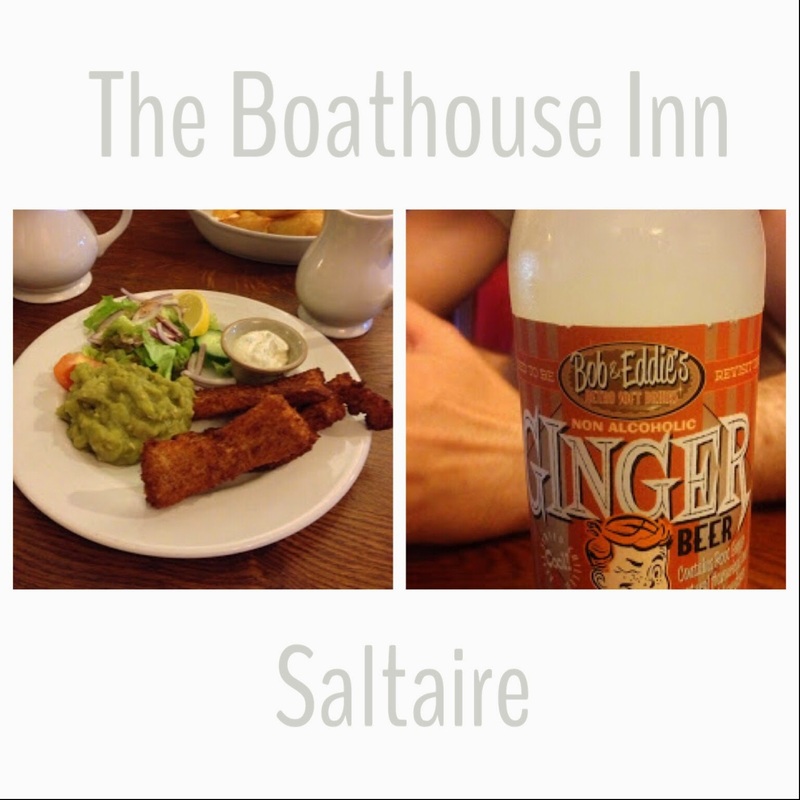 I've been back to the Boathouse Inn a couple of times since my last blog post so I thought it might be a good idea to share the other options they have. For the non-drinkers or those who don't fancy an alcoholic drink there are a few more options than your regular pub. Ginger beer being the pick of the day on this occasion. I've had fish and chips on one of my visits. They have jumped on the bandwagon with the chips in a miniature frying basket (I don't think they fry them in these really). The chips weren't as crispy as I hoped and the fish was nice and crispy at the ends but a bit soggy in the middle. I've also had the fish fingers as a afternoon bite, they were pretty good a lot better than the cheap frozen ones you get for 19p from supermarkets. They come with mushy peas which are really nice, not sure the salad is necessary though. It's also worth noting that they have a wood burner which can be incredibly cosy to sit near in the winter months. So it's not just a bar for the summer months when they open up the large windows at the front to let the summer joy in.